William Weiler designed the Skoobot as an educational platform after watching kids at an ADHD camp interact with one another while playing games. He noticed the kids became more social and interacted freely when learning the rules of those games, and decided to base his robotic platform around those concepts. The Skoobot itself is outfitted with BLE wireless, a 32-bit processor, distance sensor, buzzer, and microphone, and can be controlled using an Arduino-based mobile device or a Raspberry Pi. As far as the actual hardware is concerned, the Skoobot breakdown features a Nordic Semi nRF52832 Arm Cortex-M4F SoC, with 521K of Flash and 64K of RAM. 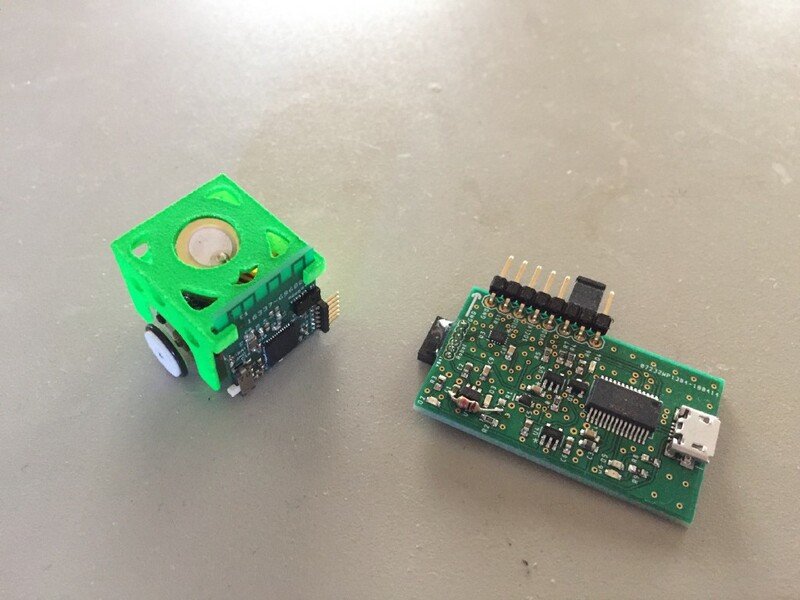 It also packs an ST VL6180X distance sensor (0–10cm distance range), Knowles microphone, a Microchip single-cell LiPo charger, and a 3D-printed enclosure. 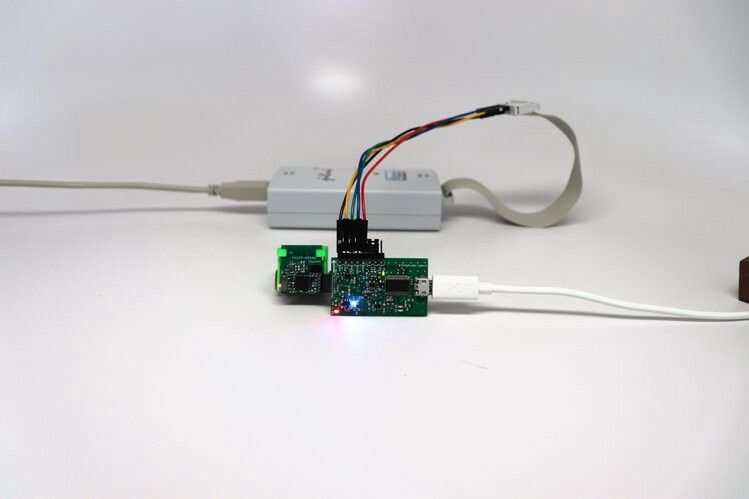 Additionally, the Skoobot platform comes with a companion board for programming and recharging the robot, and includes an FT232RL USB to UART controller with Arduino and J-Link modes. For the software end, Skoobot takes advantage of the Arduino IDE for app development and SEGGER Studio IDE as the compiler when paired with the platform’s Nordic chip. Weiler has uploaded all the necessary files needed for programming the robot on his GitHub page, which will also highlight various projects, along with webinars and workshops at some point in the future. According to Weiler, the Skoobot can communicate with other Skoobots to perform various tasks, and will eventually be capable of translating spoken words for use in games — such as solving mazes or even help them communicate using a beep-based language. The Skoobot is currently raising on Crowd Supply, and those interested can pledge $99 and up, which gets you the robot and companion board. Explore Games, Robotics, and More with Skoobot was originally published in Hackster Blog on Medium, where people are continuing the conversation by highlighting and responding to this story.